This is easily the best interpretation I've seen yet! Awesome! I went as April O'Neil from the ninja turtles, though it lacked the effort I usually put it. October was too busy! Your eye makeup is spot on!! And the costume is a very good interpretation. Love it. This is awesome! You look fantastic as the black swan. I love your makeup. you look amazing! nice work! WOW! You did such an amazing job, I love the makeup and the costume. 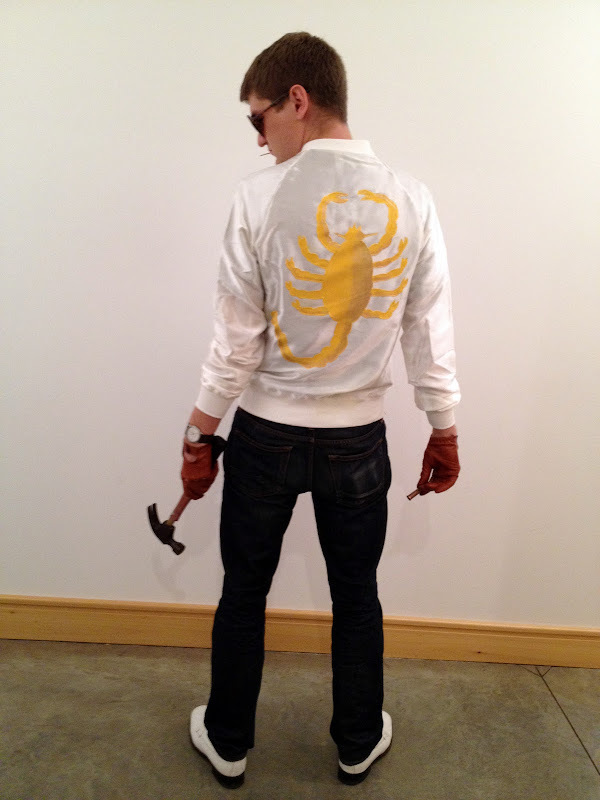 Your boyfriend makes a great ryan gosling in drive! This is hands down the BEST Halloween costume that I have ever seen. This was a great movie and you are spot on with the costume. Well done! Oh my word, this is the COOLEST costume ever! :D I used to be a professional classical ballet dancer, so it just did my heart good to see that lovely tutu. pretty! I love the feathers on the top and the delicate details it adds. 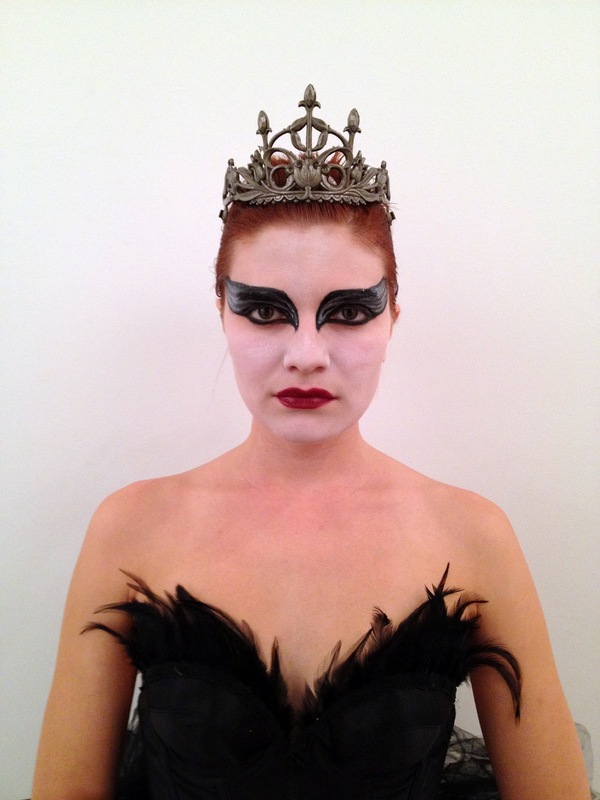 Oh my god your Black Swan costume blows mine out of the water!! You look fabulous, well done! everyone's spending time talking about your costume, which is awesome by the way, but what about Igby's?! 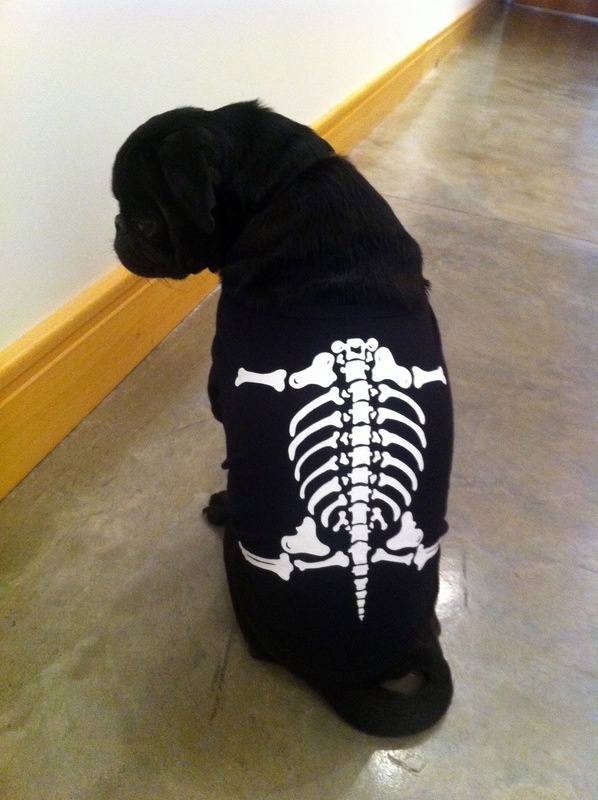 He looked so sad while he was wearing it :( My dog isn't a fan of clothes either. The Black Swan outfit was beautifully done! I love all the detail - you did such a good job capturing the costume! Definitely one of my favorite blogger Halloween costumes I have seen this week. It's dramatic and beautiful. Love it!